A bald eagle near the Merrimack River in Newburyport. The bald eagle, America’s national bird, is especially striking to see in its natural habitat — which, in midwinter, just so happens to be north of Boston. The 10th annual Mass Audubon’s Merrimack River Eagle Festival, sponsored by Mass Audubon’s Joppa Flats Education Center and the Parker River National Wildlife Refuge, takes flight in Newburyport on Feb. 18. The daylong event is eagle-centric with indoor and outdoor activities and guided eagle tours, and is appealing to those with little bird watching experience, as well as experienced birders. New this year, the festival will include a photography-focused van tour, led by instructor Rick Berk of Hunt’s Photo & Video. Berk will “help folks with in-field photo tips while we lead them to the local wildlife,” says Melissa Vokey, development director and administrative manager at Joppa Flats Education Center. Also new to the festival this year: Raptor demos will be led by Mary-Beth Kaeser of Horizon Wings, a nonprofit wildlife rehabilitation center located in Ashford, Conn.
Eagles typically migrate to the Newburyport area by February, says Vokey, and the area is already home to two pairs of year-round nesting eagles. 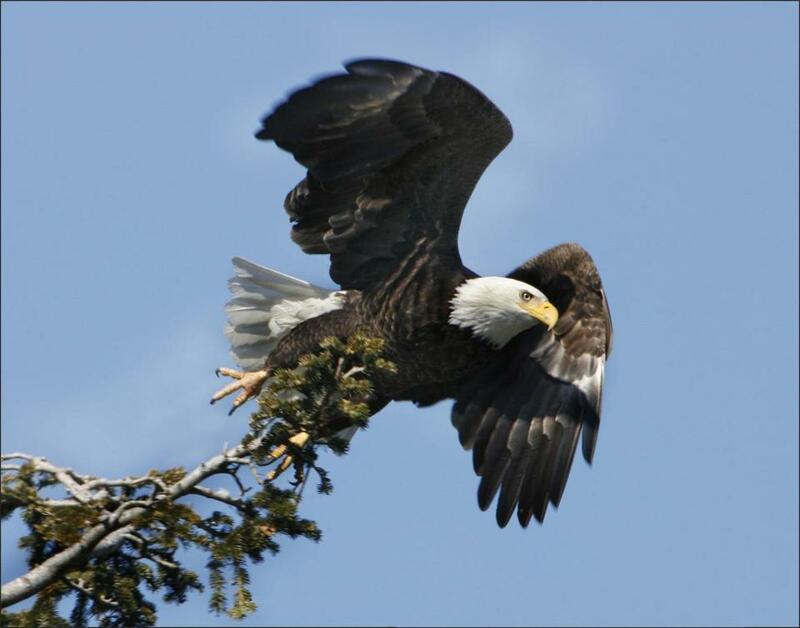 Eagle viewing sites will be on both the Newburyport and the Amesbury sides of the Merrimack River, with Lowell’s Boat Shop operating as the festival’s Amesbury headquarters. The festival is family-friendly — not only are there activities geared toward families, but the festival is held on President’s Day Weekend, and kicking off vacation week for many school kids. “Kids love bird demonstrations, and we’ve got them for all ages,” says Vokey. For kids 6 and younger, the demonstrations at the Parker River National Wildlife Refuge headquarters, as well as at Joppa Flats Education Center, are held in intimate-size rooms and offer flexibility — you can drop in for a short while or stay as long as you like. The demonstrations that are held at Newburyport City Hall, on the other hand, are for large audiences and last about an hour. “You need to be able to sit still, have patience, so we recommend them for ages 6 and up,” says Vokey. Here are some convenient spots to grab a good meal, and suggestions for where to spend the night. Laurie Wilson can be reahced at laurieheather@yahoo.com.